For those among us who need to avoid gluten but love bread, finding a good loaf of bread can be a pain. Yes, there are plenty of gluten free products available pretty much in every supermarket these days, but reading a product label on most of them also reveals a number of ingredients that can undermine our health, such as lots of sugar, preservatives and other additives. On top of that, the vast majority of commercial gluten-free breads contain yeast, which an increasing number of people also tend to be sensitive to. So, here is a bread recipe that is both gluten and yeast free and is easy to make at home. This bread is also a fantastic source of protein as well as fibre, Omega 3, B vitamins, zinc as well as selenium, which help support various aspects of our health, including our immune system, good energy levels and healthy digestion. Soak buckwheat groats in 4 cups of water for 2-3 hours. Soak chia and flax seed in 125 ml of water for 45 min. Rinse the buckwheat groats well and stir in the eggs, chia and flax seed, salt, bicarbonate soda, lemon juice and olive oil. Put the mixture in a blender and mix for 2-3 minutes. 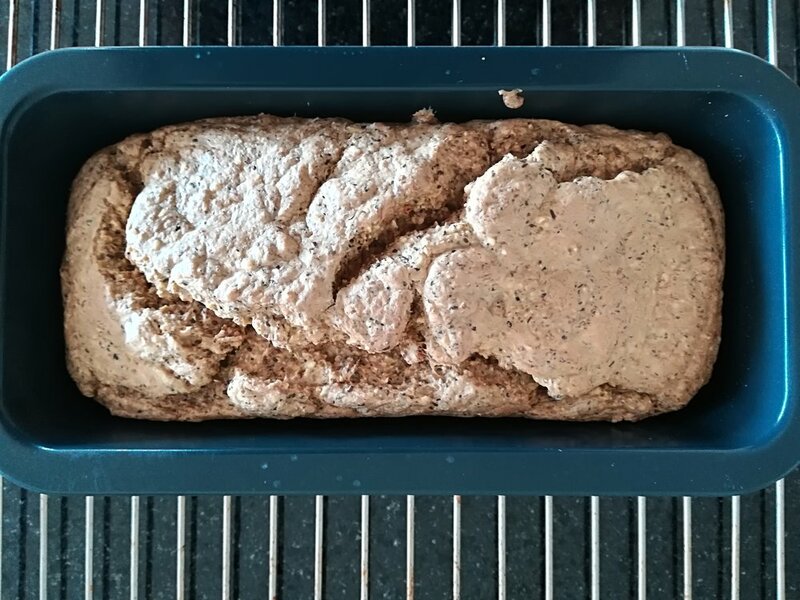 Transfer the mixture into an oiled loaf tin / bread baking tray and bake at 160 degrees C for about 70 min.